Extremely acidic soils of natural forests in Nanling National Nature Reserve have been previously investigated and revisited in two successive years to reveal the active ammonia oxidizers. Ammonia-oxidizing archaea (AOA) rather than ammonia-oxidizing bacteria (AOB) were found more functionally important in the extremely acidic soils of the natural forests in Nanling National Nature Reserve. The relative abundances of Nitrosotalea, Nitrososphaera sister group, and Nitrososphaera lineages recovered by ammonia monooxygenase subunit A (amoA) transcripts were reassessed and compared to AOA communities formerly detected by genomic DNA. Nitrosotalea, previously found the most abundant AOA, were the second-most-active lineage after Nitrososphaera sister group. Our field study results, therefore, propose the acidophilic AOA, Nitrosotalea, can better reside in extremely acidic soils while they may not contribute to nitrification proportionately according to their abundances or they are less functionally active. In contrast, the functional importance of Nitrososphaera sister group may be previously underestimated and the functional dominance further extends their ecological distribution as little has been reported. Nitrososphaera gargensis–like AOA, the third abundant lineage, were more active in summer. The analyses of AOA community composition and its correlation with environmental parameters support the previous observations of the potential impact of organic matter on AOA composition. Al3+, however, did not show a strong adverse correlation with the abundances of functional AOA unlike in the DNA-based study. The new data further emphasize the functional dominance of AOA in extremely acidic soils, and unveil the relative contributions of AOA lineages to nitrification and their community transitions under the environmental influences. The online version of this article ( https://doi.org/10.1007/s00253-019-09721-2) contains supplementary material, which is available to authorized users. 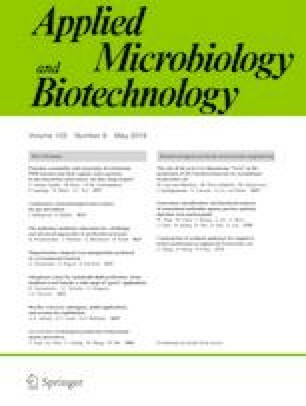 We would like to thank the comments and revision of Miss Jennifer Li, and the reviewers and editor for their assistance in the publication process. This research was supported by a PhD graduate studentship (RW) from The University of Hong Kong Graduate School and a research grant (Yong-Feng Wang) from National Natural Science Foundation of China (31470562).